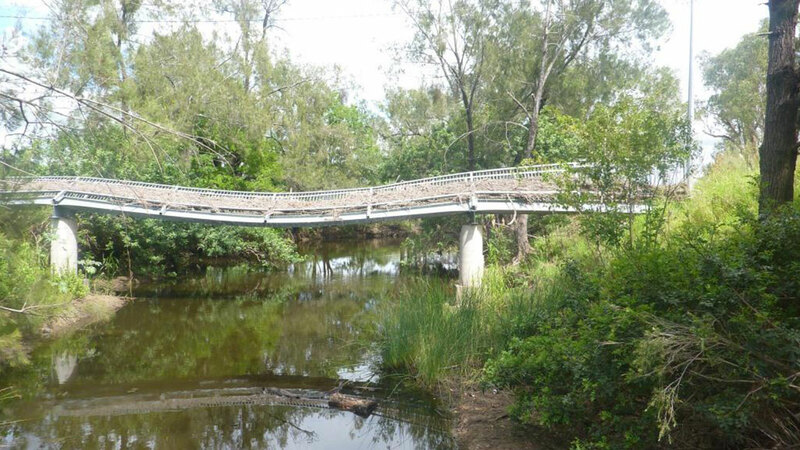 The Peak Crossing pedestrian bridge over Purga Creek was one of the many bridges and other infrastructure in South East Queensland that fell victim to the devastating floods of January 2013. However thanks to a concerted effort by all concerned – The Scenic Rim Regional Council, designers AECOM, construction company Davbridge Constructions and metal manufacturer Kenro Metal Services – the new bridge is a more than adequate replacement. When ex-Tropical Cyclone Oswald unleashed its torrent onto the Peak Crossing footbridge, the steel structure didn’t stand a chance under the weight of accumulated debris. 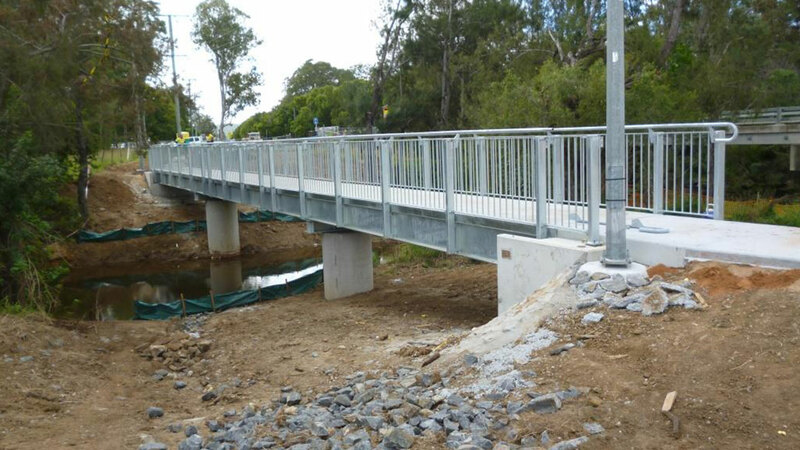 As the pedestrian bridge was used by children going to and from the adjacent Peak Crossing State School, the project was made a priority by the Queensland Reconstruction Authority. A temporary bridge was used to span the creek to ensure the crossing was less dangerous, and approval to rebuild the bridge was given 12 months after the washout. Originally the replacement crossing was expected to take 18 weeks to build, however thanks in part to the metal manufacturer’s experience and expertise, the new bridge was delivered in April – weeks ahead of schedule. The ‘go to’ metal manufacturer for Civil & Construction projects. Designed in an ingenious modular style by AECOM, the new bridge was built high above the flood level. construction with highly appealing contemporary looks. As is their want, Kenro’s engineers met with the customer at their office as soon as practical to get a first hand feel of what was required. Kenro’s steel handrails and balustrades – so intrinsic in the bridge “practically falling together” – are all individually replaceable, so if any one section is damaged, the ensuing problem will be easily fixed. In addition to the handrails and balustrades, headstocks and girders were also supplied. Once again, Kenro were at their multi-tasking best, manufacturing, fabricating and galvanising the top quality metal products and then organising delivery on site within budget, tolerance and on time. C. W., Site Supervisor, Davbridge. For assistance with YOUR next bridge building project, or any task requiring contract metal manufacturing, put Kenro Metal Services to the test. Click here to contact us or better still call our team direct on 07-46-999 888 and find out exactly how we can be of service.